A salad that's hearty enough to be a fast weeknight dinner on-the-go! Stir mayo with sour cream, gorgonzola, chives, water and lemon juice in a large bowl. Season generously with fresh pepper. Add spinach and toss until coated. Divide among 4 plates. 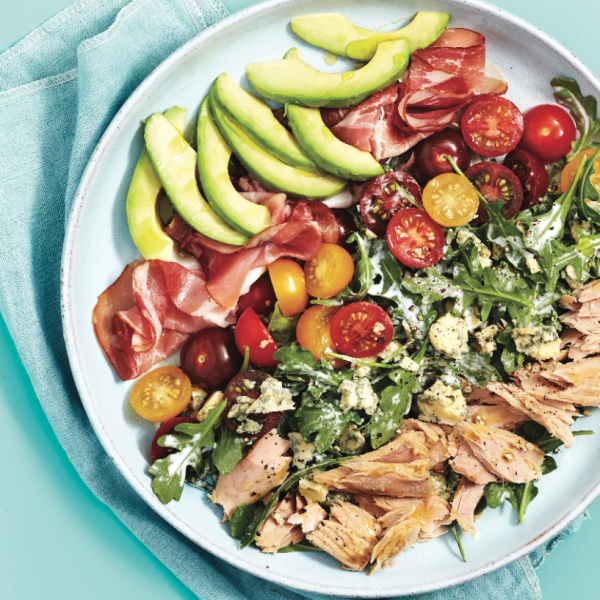 Top with avocado, tuna, tomatoes and prosciutto.